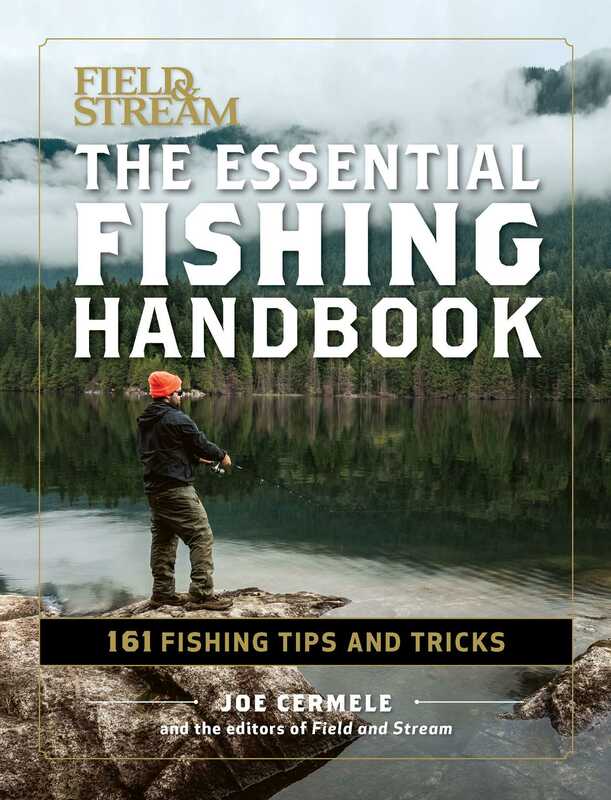 This compact yet comprehensive guide includes all the essential fishing information that novices and lifelong fisherman need, from the best lures and flies to hints for landing a wide range of fresh- and saltwater species. Gear guide: Get the lowdown on the most recent, old school and high tech gear, what you need and what’s not worth the money. Tips and Tricks: Fresh or salt water, deep sea or the nearby stream, in a boat or on land, find all the top tricks for every setting. Hook’em: Striper, sea bass, salmon and every species in between, all the need-to-know information per species. GET A BUCKET Start with a standard plastic 5-gallon bucket with a lid to haul gear and provide a seat. ADD BUNGEE CORDS Wrapped near the rim, they secure jigging rods and tip-ups to the side of the bucket. ORGANIZE Stash all nonmetallic items with a small tool belt fastened around the bucket. Now you’ve got a great place to stash things like hand warmers, tissues, plastic boxes, bobbers, and even some snacks. VELCRO IT Attach a cushion or a piece of 3-inch (7.5 cm) foam to the lid. Using Velcro rather than glue allows you to remove the foam easily if it needs to be cleaned or replaced. And it will. GET A GRIP The handle can also be a storage spot. Get a golf towel (one that comes with an attached clip) and snap it on. Tie on other items that you will use regularly, such as line clippers and a bottle opener. GET ATTACHED To create handy holders for metal items, buy an assortment of inexpensive magnets. Attach them to the bucket sides with all-purpose glue, such as Gorilla Glue. Set the magnets wherever needed to keep pliers, hooks, and lures easy to reach.